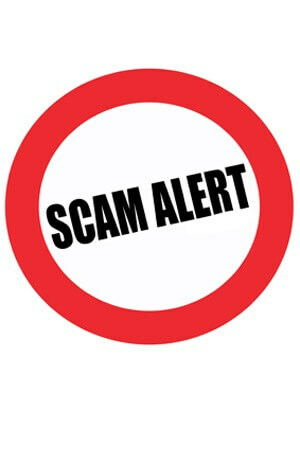 The Department of Police and Public Safety is warning the campus community about an increasingly common employment/business opportunity scam. Employment and business opportunity schemes have surfaced wherein illegitimate, occasionally foreign-based companies, are recruiting citizens in the United States on several employment search websites for work-at-home employment opportunities. This is typically done through the student’s NIU email account, then followed-up with numerous text messages. These positions often involve reselling or reshipping merchandise to destinations outside the state of Illinois. Prospective employees are required to provide personal information, as well as copies of their identification, such as a driver’s license, birth certificate or social security card. Those employees that are “hired” by these companies are then told that their salary will be paid by check from a United States company, reportedly a creditor of the employer. It is occasionally done under the pretense that the employer does not have any banking set up in the United States. There is often high pressure via email or text messaging to very quickly deposit a fraudulent check sent by the scammer into the student’s personal bank account, and then immediately write a personal check from the student’s account to a fraudulent third party. The amount of the check is significantly more than the employee is owed for salary and expenses, and the employee is instructed to deposit the check into their own account, and then wire or mail the overpayment to a secondary location, typically out of state. The checks are later found to be fraudulent, often after the transfer has taken place, resulting in the student being responsible for the personal check they wrote. The NIU Police Department urges all individuals contacted about this scam to report those involved immediately and be prepared to provide names and descriptions of the offenders when available. A federal complaint can be filed with the Internet Crime Complaint Center at www.ic3.gov or with the NIU Police Department. NIU Police investigators can be reached at 815-753-1212. Those wishing to remain anonymous can call the Tips line at 815-753-TIPS (815-753-8477). Previous Post:How the health are you, NIU?